Registration for this event is found at https://www.perotmuseum.org/educators/first-lego/index.html#_qualifiersites . Registration opens on October 24, 2018 at 10:00am. Registration for Qualifiers opens on October 24 at 10:00am. All qualifier registrations in North Texas take place via the Perot Museum — see https://www.perotmuseum.org/educators/first-lego/index.html#_qualifiersites for full details and information. Qualifier locations are first come, first served. Once a location is filled it will be removed as an option. Teams CANNOT change their qualifying site after registration. Registration is not complete until payment is received. Payments can be made by credit card, check, or purchase order. If paying by credit card, teams may register online. Payment by credit card is strongly recommended and the best way to ensure your spot is held. If paying by check or purchase order, teams must call Reservations at (214) 428-5555 (press 8) to register with payment ready to be made. After giving details to Reservations, you must mail in your check or purchase order within 7 days. You may mail your check in early but this does not reserve your spot; you must call Reservations to complete your registration. Include your team’s name and number as well as the coach’s name on your check. An invoice can be generated in advance by contacting fll@perotmuseum.org. Only full and completed registration including payment reserves your spot. Payment must be received by 11:59 p.m. on November 17, 2018 or your team will not be able to compete. To register for a Qualifier, teams must already be registered with FIRST. Qualifier registration will be handled through the Perot Museum of Nature and Science. Need an invoice? Email fll@perotmuseum.org with your team name, team number, and billing information. Coaches/Mentors and up to two student team members are invited to this clinic that will overview the LEGO building pieces most commonly used for building FLL robots and will present design principles important to developing a good chassis and efficient Robot Game execution. The clinic will demonstrate a wide variety of attachment types and mounting options. Space is limited so please limit your attendees to no more than two coaches/mentors and two student members per team. DC BEST is the new Denton County hub of the Texas Boosting Engineering Science and Technology (BEST) contest, hosted by the University of North Texas College of Engineering and the Department of Engineering Technology. Game day event details TBA. Dallas BEST generally accepts teams from Dallas, Rockwall, Kaufman counties, and other counties to the east. For additional details, follow these links to national and regional websites. 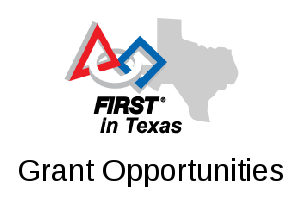 Cowtown BEST a hub in the Texas Boosting Engineering Science and Technology (BEST) contest. Game day event details TBA.